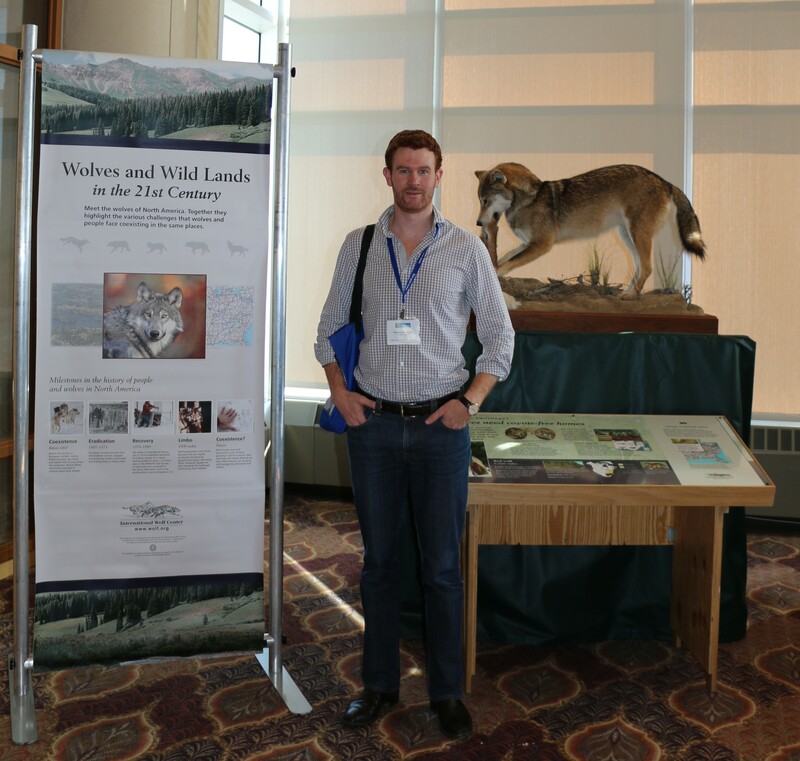 Last week I attended The Wildlife Society annual conference in Milwaukee and the International Wolf Symposium in Duluth Minnesota. The Wildlife Society conference had a diverse range of talks but of primary interest to me were the ones on wolves, trophic cascades and predator-prey interactions. There was much debate and discussion about the mechanisms that drive trophic cascades. There was generally more support for behaviourally mediated trophic cascades. This supports the “Ecology of Fear” concept. However, some presenters suggested a more complex explanation and that a range of additional factors could be involved. The International Wolf Symposium aimed to bring together researchers from all over the world working on wolves. The theme was Wolves and Humans at the Crossroads. One of the key topics of debate was the de-listing of gray wolves from the List of Threatened and Endangered Species. Apparently we “agreed to disagree” based on the news piece below. From an outside view, I actually thought there was a lot of common ground. Where’s Wally? I appear three times in the news piece below – see if you can spot me! I also presented a talk titled: Reintroducing wolves: a chance for dingoes too? The reintroduction of wolves (Canis lupus) into Yellowstone National Park has sparked worldwide interest in reintroducing top-predators into areas where they have been locally extinct. This is supported by the theory that higher-order predators can alter the abundance or behavioural traits of their subordinate predators or prey, thereby enhancing the survival of the next lower trophic level. In Australia, the dingo (Canis lupus dingo), a subspecies of the wolf, is considered a top predator and potential trophic regulator. If dingoes suppress the European red fox (Vulpes vulpes) and feral cat (Felis catus), they would potentially enhance mammalian prey populations. Yet, there is considerable debate about whether or not dingoes are trophic regulators and whether anthropogenic changes could prevent dingoes from fulfilling their pre-European settlement roles. In this talk, I provide a historical overview of the ecological role of the dingo in Australia. In doing so, I review the evidence for and against maintaining the dingo in the ecosystem and provide an overview of the scientific basis for the controversial proposal to reintroduce dingoes back into areas where they are now locally extinct.